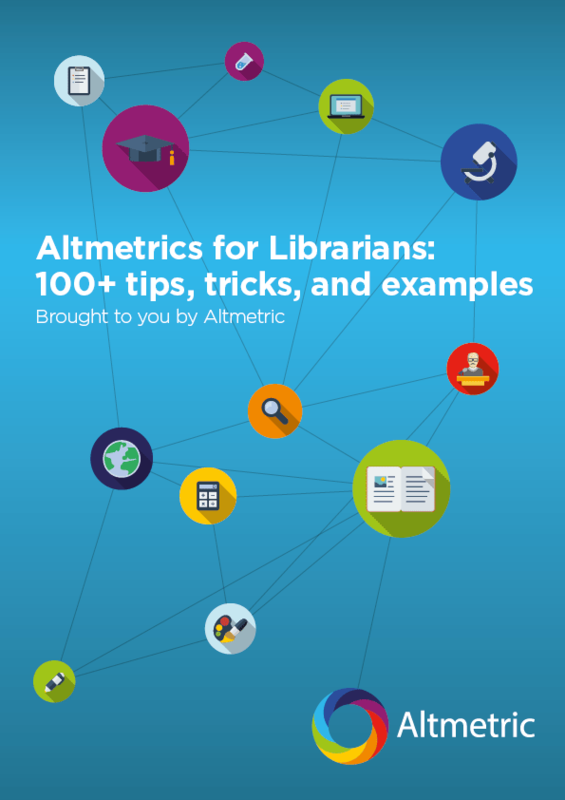 Welcome to the Altmetric High Five! On a monthly basis, my High Five posts examine a selection of the most popular research outputs Altmetric has seen attention for that month. This month’s theme is Health all the way, from keys to human health found in noses and ancient bones, to bad news about bulldog health. Paper #1. Is sitting all day bad for your health if you exercise after work? Over 200 news outlets covered the study, which also received attention on Twitter. The Centre for Evidence-Based Medicine did point out some weakness of the study in a blog post. For example, many of the cohort studies analyzed in the review paper did not control for socioeconomic status, which could impact how a sedentary lifestyle is associated with increased mortality. Based on these weaknesses, David Nunan urges caution in interpretations of the benefit of physical activity at the individual level among those who sit for long periods of time. Our second High Five paper is “Human commensals producing a novel antibiotic impair pathogen colonization,” published in Nature this July. The paper describes a process where human-associate nasal bacteria, Staphylococcus lugdunensis, produce an antibiotic compound that helps to keep harmful Staphylococcus aureus bacteria out. “Human microbiota should be considered as a source for new antibiotics,” the authors write. 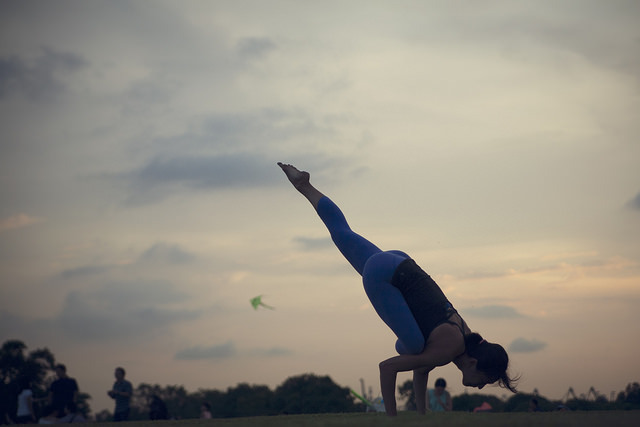 Over 200 news outlets and 15 blogs picked up this study. This study received significant attention from general as well as science-focused media outlets. The news titles were quite catching. 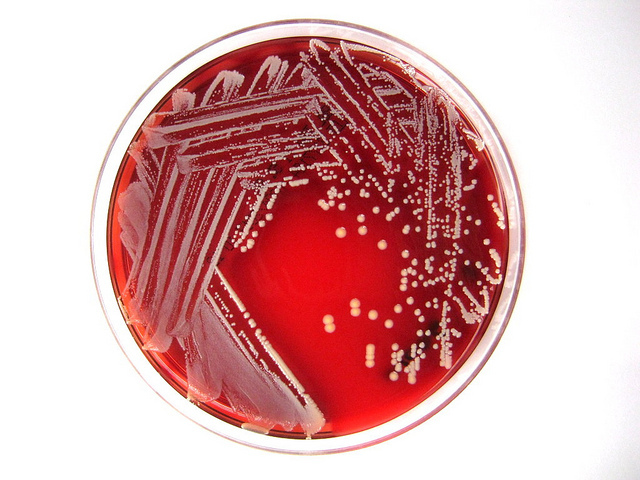 “Scientists Sniff Out a New Antibiotic In Nose Microbes,” The Atlantic headlined. The Atlantic article is beautifully written and provides a great break-down of the study. Yong also interviews some researchers who are skeptical of the findings and point out that they are but a starting point and do not suggest that we’ve found the next best antibiotic out there. “If I were a bacterium I would not go into the nose.” – Study author Andreas Peschel, quoted in Science. Human Brain. Credit: Gutenberg Encyclopedia, Wikimedia. Our third High Five paper is “A multi-modal parcellation [map] of human cerebral cortex,” published in Nature in June 2016. The paper describes a detailed mapping of the human cerebral cortex using multi-model magnetic resonance (MRI) images. 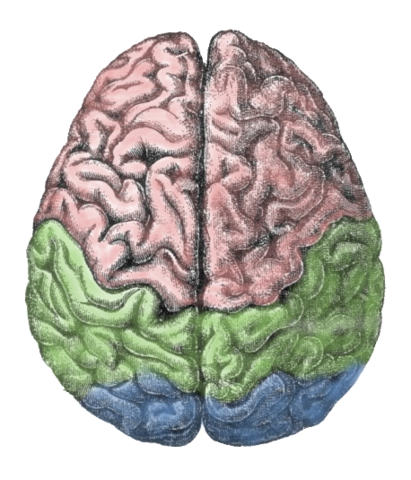 The study authors characterized 97 new cortical areas. Over 100 news outlets and 20 blogs covered this study, largely online and science-focused outlets. The new map will likely open up neuroscience research to study the specific functions of more discrete areas of the brain than have been studied in the past. Spongy bone. 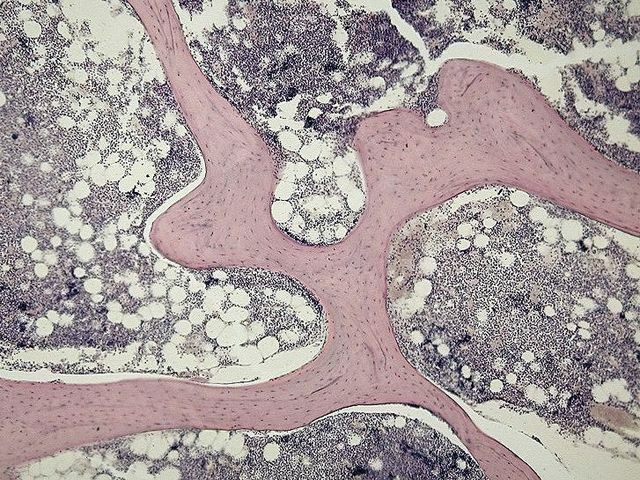 Image credit: Department of Histology, Jagiellonian University Medical College, via Wikipedia Commons. Our next High Five paper is “Earliest hominin cancer: 1.7-million-year-old osteosarcoma from Swartkrans Cave, South Africa,” published in South African Journal of Science this month. Paper #5. Loving Bulldogs to death? Our final High Five paper is a “ruff” one. “A genetic assessment of the English bulldog,” was published in Canine Genetics and Epidemiology this month. The authors studied genetic diversity among 102 registered English Bulldogs used for breeding, and found that the dogs “have very low genetic diversity resulting from a small founder population” and artificial genetic “bottlenecks” from human selection for specific desired physical traits. 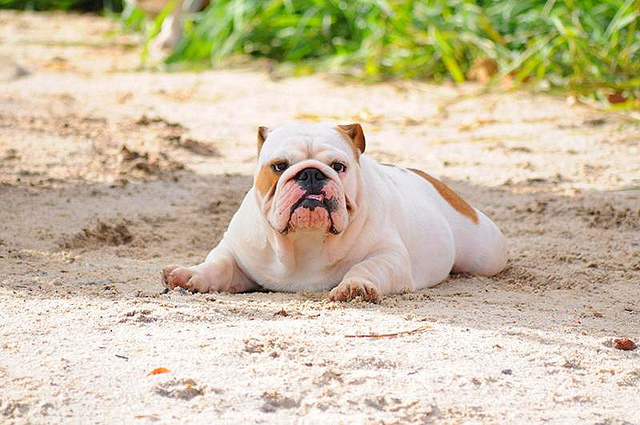 For example, the selection of “cute” bulldogs with flat faces has resulted in serious breathing problems for the breed. The authors conclude that this issue needs to be addressed, because English Bulldogs are now facing serious health problems due to inbreeding.